Produces HTML output from the PowerShell pipeline, doing the best possible to obey the formatting rules in PowerShell. 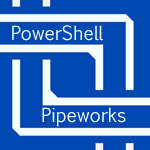 Produces HTML output from the PowerShell pipeline. The CSS class to apply to the table.